Portland Area Top 10 Best in the West for 2017! 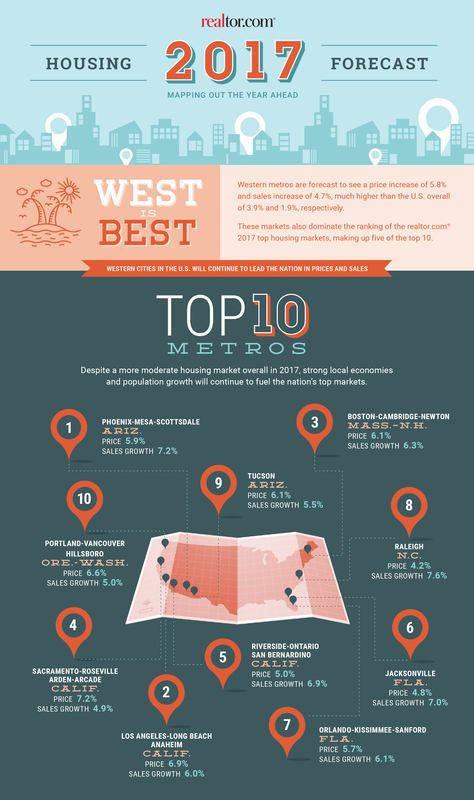 Great Real Estate News on Realtor.com for the Portland, Hillsboro & Vancouver areas as being one of the top 10 Best in the West areas for Price and Sales Growth in 2017! Pricing is anticipated to grow 6.6% in 2017 and sales growth expected to be around 5%. If you are considering selling, putting your home on the market in early 2017 will give you a great opportunity to maximize your value and shorten your selling time!